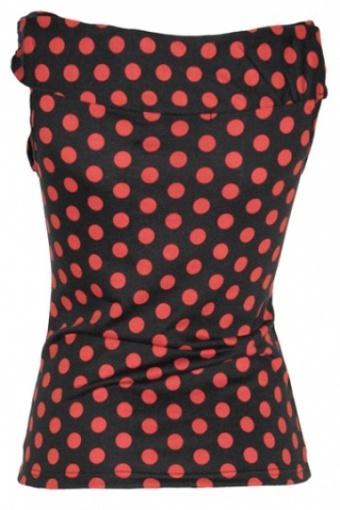 Brigitte keyhole boatneck top black red polka from Collectif. This must-have basic is a real cutie! Made from an airy supple jersey coton stretch. 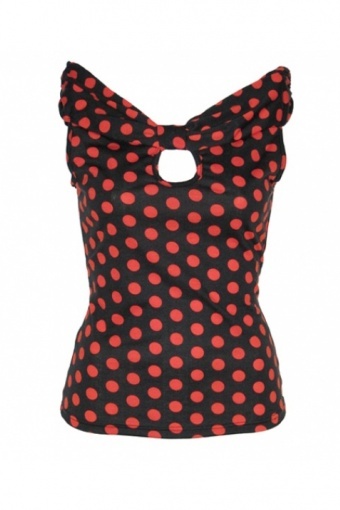 This sleeveless boatneck short top is as comfortable as it is cute! It can be worn with jeans, or tucked unto a pencil skirt for a truly classic look. 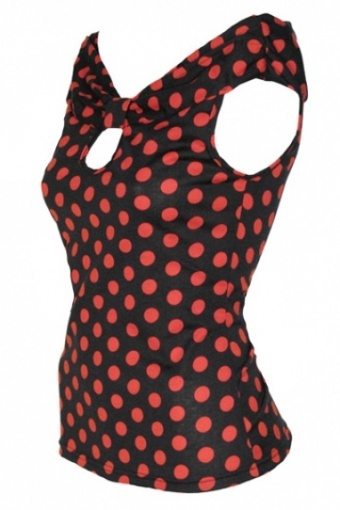 Features include a fitted silhouette and a keyhole on the front.